Thus begins J.M. Barrie’s classic play “Peter Pan” about a flying boy who never grew up and his adventures with the Darling children in Neverland, a place where anything you can imagine can actually happen. And that is the tale that will be presented at Henry St. Clair Memorial Hall in Greenville on Sunday, April 7, when Darke County Center for the Arts closes their 2018-2019 Family Theatre season by presenting Tutti Frutti Production’s “Underneath a Magical Moon;” however, the story will be told from the perspective of a 21st century Wendy Darling, who along with her brothers has set up a Wendy-house in her backyard where the trio enjoys a midnight picnic and embarks on an incredible adventure featuring pirates and fairies and mermaids. We all know the Peter Pan story, but this is a delightfully different version that has the three Darling children taking on the many roles of the classic adventure in Neverland. Wendy’s storytelling gives her the power to shape her own narrative; she and her brothers use whatever materials are at hand to help propel the story. John dons his dad’s dressing gown and becomes Captain Hook. “Clock-odile” is created with flower pots for eyes and snapping jaws made of garden rakes, and Tinker Bell is a shining ball of green neon light, zipping back and forth this way and that and getting trapped in a plastic picnic cooler. “Modern day Wendys can reasonably expect to be other things as well as mothers, so in my version she fancies being an astronaut, but in the course of playing with her brothers she tries being a mermaid, a pirate, and even Peter Pan, totally turning the world upside down,” said award-winning playwright Mike Kenny, who in 2016 was commissioned to create the play by Tutti Frutti, an internationally touring children’s theatre company based in the U.K. “Between them, they make Neverland in their back yard; they make a lot of mess too, and noise, and fun,” the playwright continued. He says that this play is just as much a celebration of childhood as the original. “Who knows what today’s children will grow up into; I’m hoping that my version of the story offers them a few extra options,” he concluded. With a string of fairy lights, a handful of glitter, and a healthy dose of creativity, “Underneath a Magical Moon” thrillingly brings the story of Peter Pan to life, providing a perfect subject for audiences of all ages, from those who are now children to everyone who was once a child. The production flies you into a fantastical world of adventure where time stands still, the impossible seems possible, and anything can happen. The charming score is filled with catchy, melodious tunes. Rapping pirates regale the audience with tales of their wicked habits – like going to bed whenever they want and never brushing their teeth while mermaids perform Motown-esque music a la The Supremes. Accessible and innovative, the music magically lights up imaginations and inspires delight. Tickets for “Underneath a Magical Moon” are just $5; to purchase yours, contact DCCA at 937-547-0908 or dcca@darkecountyarts.org. Tickets are also available online at www.darkecountyarts.org and at Greenville Public Library, Readmore’s Hallmark and Darke County Welcome Center in downtown Greenville, Worch Memorial Library in Versailles, and will be available at the door if any remain by showtime. 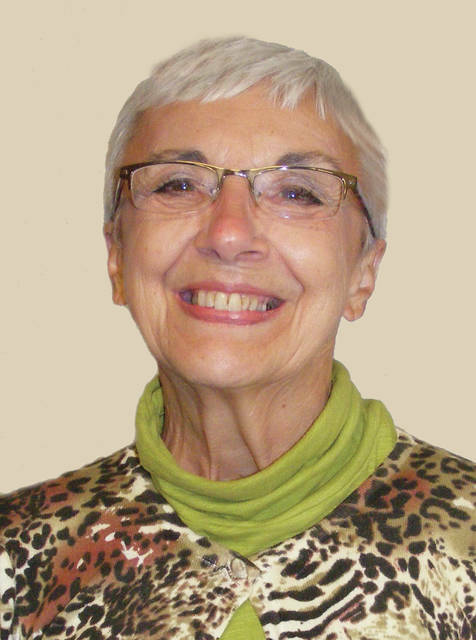 The show starts at 2 p.m.
Marilyn Delk is the former executive director of the Darke County Center for the Arts and can be reached at marilynd@bright.net. Viewpoints expressed in the article are the work of the author. The Daily Advocate does not endorse these viewpoints or the independent activities of the author.